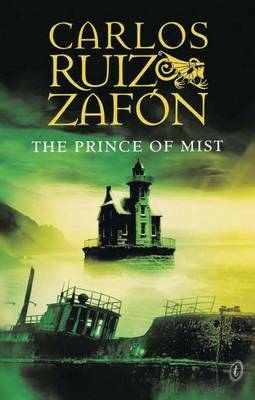 The Prince of Mist is Carlos Ruiz Zafon’s debut novel and the first of his back catalogue to be translated into English. Although Zafon’s earlier novels, before The Shadow of the Wind, are group as Young Adult, I don’t think there should be a problem appealing to the rest of us. Set in Spain, 1943 in the midst of WWII, thirteen year old Max Carver’s father decides to uproot his family and move away from the city and to a sleepy seaside town. Max’s father, Maximilian, an eccentric watchmaker, had purchased an abandoned house with a sad history. It’s previous owners were an unhappy couple who had trouble conceiving throughout their marriage. Eventually, they managed to fall pregnant and produced a son, Jacob. 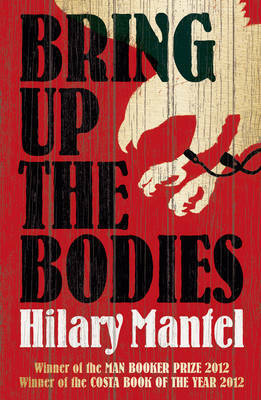 When the boy is eight, he disappears one morning and is found drowned in the sea. The mystery of the statues, when Max finally realises that they are arranged to form a six-point star, deepens when his father finds an box of old film in the garage, revealing to be amateur footage of the house and the mysterious garden – except that in the film, the statues were in a different position and pose. Forming a strong friendship with a local boy, Roland, who takes him diving to explore an old ship wreck, the Orpheus, which had sunk twenty-five years ago while carrying dubious passengers, Max see the six-pointed star again on the ship’s flag. More about the mysterious wreck and origins of the statue, particularly the ringleader Clown is revealed when Roland takes Max and his sister to see his grandfather who has been the lighthouse keeper for the last twenty-five years. As a debut novel, Prince of Mist is a fantastic read. It’s so atmospheric and Gothic, elements Zafon later fully employs in his subsequent bestsellers. While this is book is marketed as YA, this is truly one scary and frightening read – or perhaps I’m either a complete wuss when it comes to scary books and movies or the fact that I find clowns terrifying. One downside of the book was the beginning. I’m not sure if it was the translation or the writing but some words were repeated over and over again and it just pulled the reader out from getting into the moment. Other than that, once you’ve broken in, it’s one thrilling read. Oh, I always felt that I wanted to read this, but since you described it as scary I’m not so sure I could handle this.. I wouldn’t want to discourage you from reading this! The clown is a little scary though but if you’re fine with clowns then I’m sure you’ll be fine. 🙂 It’s a great read. I loved Shadow of the Wind. It’s one of my favourite books, but I still haven’t read either Angel’s Game or this book. I loved the Shadow of the Wind too. I think it spoke to the book geeks in all of us. There’s a little tinge of bibliophlia here but not as much as Shadow. Angel’s Game was good…but a bit strange. I’ve never read anything by this author yet have heard a great deal of him. I think I’ll add this to my TBR list! Love checking out new stuff. Thanks for the review, Mae! We have a reading copy of this at work, but I’ve always passed over it because I thought it was fantasy for some reason? You’ve convinced me to pick it up, I can’t get the image of the statues out of my head and I haven’t even read it yet. It’s more…magical realism? Or maybe just a horror story. It’s a great read and Zafon always writes great gothic stories. I’ve had this post sitting in Google Reader unread for ages! Here’s the dilemma : I don’t know if I want to read another book by Zafon or not. I absolutely adored Shadow of the Wind – I couldn’t step away from it, and I loved it to bits. Had high hopes for The Angel’s Game, but was quite disappointed. Now, there’s this book – which sounds absolutely fantastic (your review included), but I really don’t want the magic of Shadow to disappear into thin air. Great review though – the book does sound fantastic, and it seems to merit a read!! I know what you mean about The Angel’s Game. I was rather disappointed too especially since I read Great Expectations just before it so I saw all the parallels immediately. I don’t think that the potential disappointment of Mist will affect your love of Shadow. And it *is* really a great read in its own right (and I think on a different level to Angel’s Game). If anything, just remember that it was Zafon’s first novel.